Now a non-operational facility, the secret nuclear bunker at Kelvedon was designed to protect all sorts of important folk during the Cold War. Now open to the public, we think its the perfect (and most interesting) venue to hold a RIDE IT sportive. Situated just down the road from Epping Forest, this ride will feature routes that take in quiet lanes and gently rolling terrain around the Essex countryside. This is one of our flatter rides that will allow you to clock up some miles whilst enjoying some beautiful English scenery at one of the best times of year for road cycling. 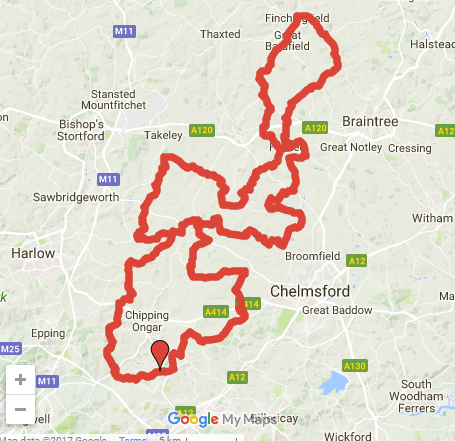 How was Ride It – Evans Cycles Essex Road Sportive?